Observe it. Explain it. Use evidence. 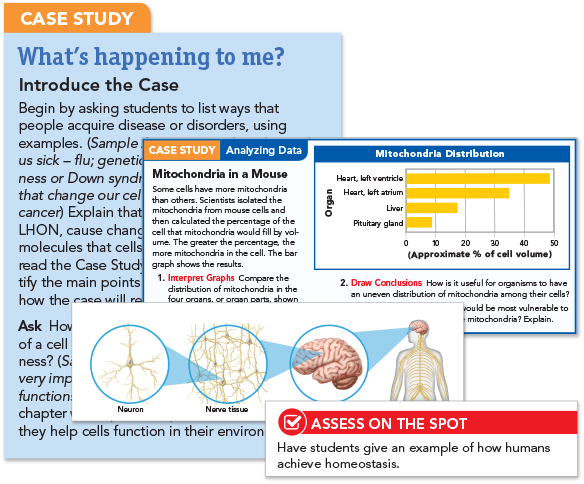 Miller & Levine Biology immerses students in phenomena-based lessons through authentic case studies. Investigating phenomena is a key part of the new Science Standards and students will love these explorations. Send students on a journey of discovery with compelling real-world phenomena. 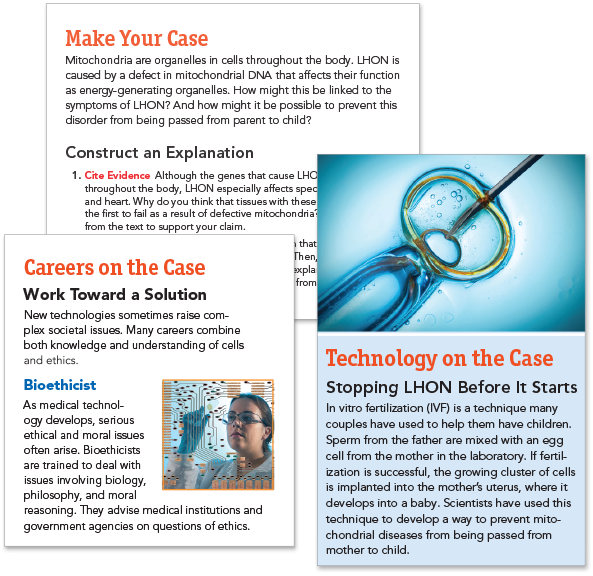 Every chapter begins with a case study—an exciting scientific, social,or economic problem that will engage students in analytical thinking, scientific inquire, and self-directed learning. 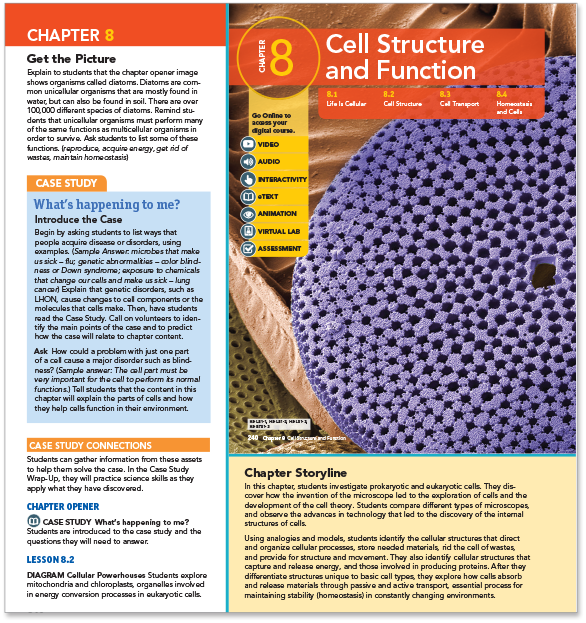 Data Analysis activities, labs, figures, and assessment questions tie relevant chapter concepts back to the case study, making it easier for students to make sense of science and engineering practices. Students gather data, cite evidence, and apply scientific reasoning to develop argument driven discussions with their peers. Students learn about career professionals who work on topics similar to the case study. The careers range from bioethicist to journalist to baker&emdash;showing students they don't have to be a biologist to be relevant. Students discover how scientists use new technologies to make an impact. They learn how scientific advances affect society every day. The instructional materials provide the ideal teaching framework. Be a coach and guide in an inquire-focused classroom.